This is definitely one of my favourite tracks from the game and definitely one of the most memorable. Sometimes out of nowhere I'll find myself whistling this tune while I'm having a walk or doing chores, and it takes me a bit of time to realise that it originally came from a computer game I played many years ago, back in my youth. Ah the nostalgia. The track starts off with a beautiful chorus of woodwind instruments before the awesome accordion cuts in at 0:54. 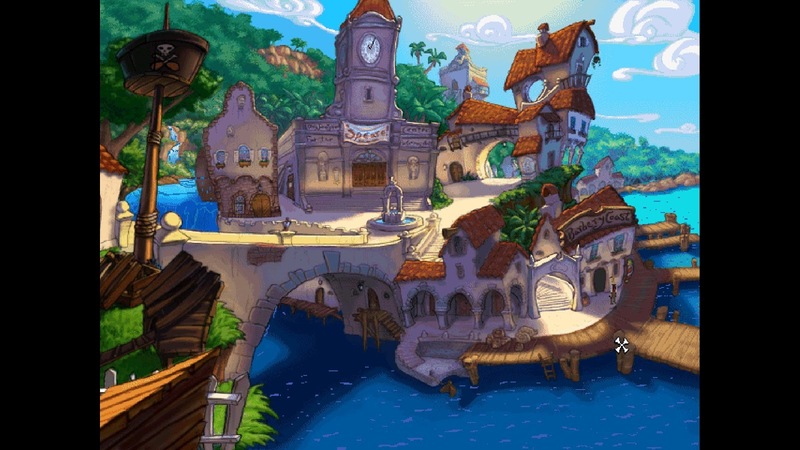 Such a peaceful and serene tune - perfect background music for the sleepy, seaside town of Puerto Pollo that retired pirates call home.